sent my bag for cleaning | escaped. A few months back, I planned to send my tan MbMJ for its leather cleaning. So finally pulled the plug last Saturday. Ajak-ed the husband to Pavilion to send the bag to My Bag Spa! Paid them a visit and showed the lady my bag. She was nice; the first thing she did was inspecting my bag thoroughly and quite honest too. Her comment on my bag? 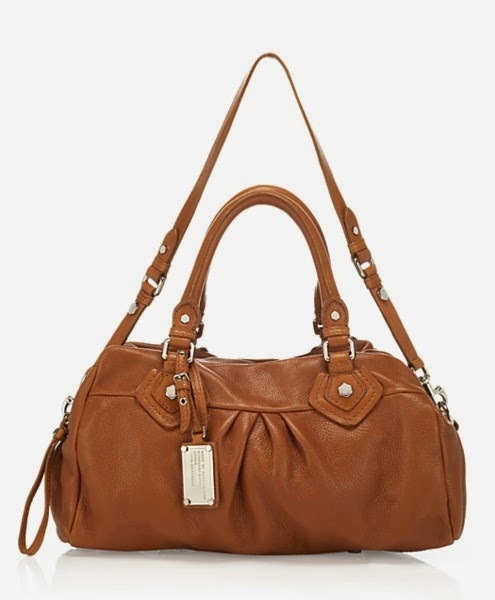 "The leather color has faded and darken especially on top of the bag near the handle. There are a few ink stains inside the bag, which might be difficult to be completely removed. Some yellow glue marks from the leather inside the bag will not be possible to be removed. The handle leather also has dark spots on it. Ooh, there's also another ink stain on the left side of the bag, at the leather which might be difficult to get rid of"
Asked her about the difference between getting the bag cleaned and color restoration - I've heard that if your bag's leather color has faded, you can opt for color restoration instead of just cleaning because cleaning, alone, wont help if your bag's leather condition is bad. Apparently, for bag which leather has deteriorated so much - the color would have to be restored using special method and material. I've always thought cleaning the bag was it! They would have to send the bags to their workshop and dye the bag with its original color - thus making the bag looks new as per original. The service charge is different, too; for my MbMJ bag, it would be RM500 for cleaning plus color restoration and RM180 for cleaning only. The charge is determined based on the bag size - they will measure your bag first to see how much the service would cost, regardless of material i.e. leather or suede or canvas. Which is surprising to me as I've always thought different material would require different level of maintenance. Should've brought the bag sooner. Opted for cleaning service because dye-ing the bag just sounds too risky for me. Well, we'll see how it turns out 2-3 weeks from now.